I know it seems like just yesterday that I was blogging about my birthday (actually it was 2 days ago) but now it's time to recognize another birthday in the Nielson household... Sam's!! His birthday was yesterday, and if I hadn't been so busy celebrating his birthday all day yesterday I probably could have blogged about it on the actual day. Anyways, it's probably a better sign that I was off doing other things rather than spending time on the computer on my husband's birthday, right? So, we celebrated Sam's 29th birthday yesterday... how you ask? Well, he spent the first half of the day playing golf in a Parametrix company golf tournament while I was at the gym. But don't worry, it gets better... what does my husband choose to do on his birthday when he could do anything he wanted? He takes me shopping!! Do I have the best husband in the world or what? And that's what we did for a good portion of the day... went shopping at Southcenter. I think maybe he was buttering me up for the next part of the day: going home to watch college football and eat pizza. Hey, that was just fine by me! If that's how the birthday boy wants to spend his day then by all means, it's what we're gonna do. So now our birthdays have come and gone and we're left being a year older but not really feeling much different. Unless you count all the wise thoughts that have just been coming to me lately... I have had some pretty good insight on things these last two days. Coincidence? I think not! I'm actually quite excited to grow old with Sam. Mostly because I think he'll look very George Clooney-esque when he gets all salt and peppery. But aging does have it's high points, right? I mean we're building up our past here and with every day that goes by we're just adding to our memories. Cheesy but true. Four years have gone by since Sam and I started making memories. Another birthday shared together means another year has come and gone and we're moving into the next with more opportunities to do things we'll look back on years from now. 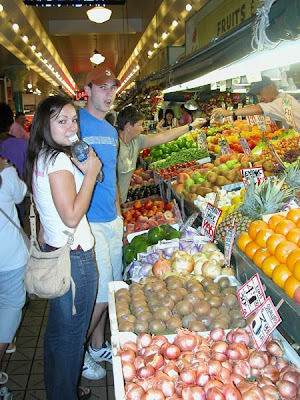 This picture is of Sam and me at Pike Place Market right after we had come home from our first big trip together: Washington, D.C. Since then we've ventured to at least one new city every year. These have included Vegas, San Francisco, Baltimore, Victoria, and Vancouver B.C. I can't wait to watch another 4 years go by and expound on this list and build up our history together! So Sam-wise, here's to another year of traveling, playing, working, hanging out, weekend-tripping, hiking, baseball/football/basketball/ (enter-sport-here)-watching, and making memories together-ing. Isn't that a song? From like, the 80's or something? I think I remember it from the movie "Sixteen Candles" where the red-headed kid sings it to the girl when he finds out it's her birthday... so anyways, that's what I was going for there. Well folks, it is my birthday. Yup, #26. And let me tell ya, this one has been better than the last. I don't know why but #25 was tough. That whole, "Quarter-Life-Crisis" thing. 26 feels good. I think I'll stay here a while, or maybe I'll just start counting down. How does that sound? At 25 I was all like, sad about being 5 years from 30 with no kids and no permanent job. Now I'm comfortably in a permanent job that I really enjoy and I know kids will come sometime before 50. Haha, that was a joke. They'll come before 40. This birthday has been really fun... Sam has really gone out of his way to remind me repeatedly that I'm a birthday girl and I think he finally understands that this day means something to me. So that's been fun. He's even staying home from basketball tonight to hang out with me at the mall! Woohoo! I've gotten lots of texts and phone calls and emails from you guys remembering my birthday... but then again, I suppose it's not that hard to remember when I share it with the worst terrorist attack in U.S. history, right? Well, at least I can say I'm memorable. And many more things that I can't even think of right now! 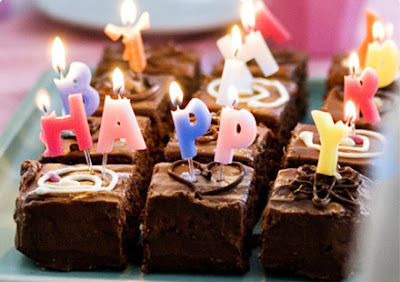 Thanks again everyone for remembering my special day and making it extra special for me to live another year! 1. Waking up early and watching "College Gameday" on ESPN and getting all excited about college football. 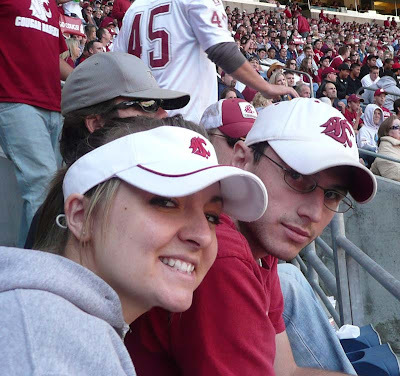 We watch for the WSU flag being waved in the background by proud fellow Alumni and feel the pride of being Cougs. 2. 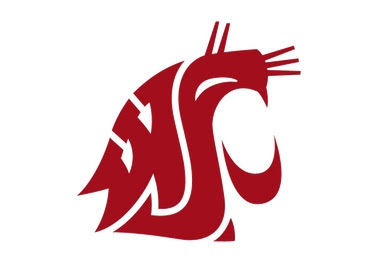 Putting on my Coug gear. Consists of football jersey or WSU sweatshirt and hat or visor. 3. Driving to the game, honking and waving at other Coug fans who are also all dressed up and clearly going to the same game. 4. Getting to the stadium... everyone is excited, there is Cougar pride everywhere, and with every 10 minutes that go by the crowd cheers, "20 minutes til Cougar Football, Woooo!!!" until it's go time. 5. The team runs onto the field with a bang of the Cougar canyon, Butch T. Cougar is running around or driving on a 4 wheeler, cheerleaders are doing flips and other crazy things are going on. *It should be noted, that this is the high point of the game usually, for most Coug fans... because from this point on, it's all downhill. 6. The game is played... this usually consists of many incompleted passes, or quite a few "3 and outs." 7. More often than not, the Cougs lose, we get so mad, and we go home. 8. Next Saturday comes, and we repeat. Gotta love being a Cougar. Sam and I at a point in the game where there must have still been some hope... we don't look totally distraught yet! Jodi and Jason... so happy to be here!